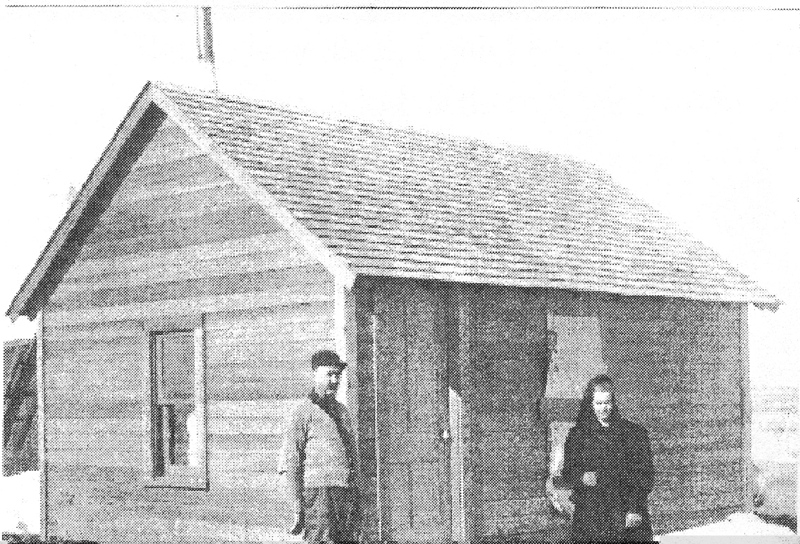 This photo shows the building that was located in front of the stone house on the Southampton Township, Somerset County Lepley farm. The approximate location of the site of the Lepley gunsmith shop is Latitude 39.75758100737703°, Longitude -78.81904810667038°. This photo was reproduced from volume two of the 2007 book "A Look At Southampton Township Pennsylvania The Way It Used To Be! ", with permission of the author. According to the book, William and Effie are in the photo. This refers to William Burnside Kennell (born January 16, 1863, son of Andrew Jackson Kennel & his wife Mary Ellen (Baughman) Kennel) and his wife Effie Lou (Lepley) Kennel (born March 13, 1868, daughter of Adam Lepley, Jr. & his wife Sarah (Comp) Lepley). I helped to perform repairs to this building in the 1960's, when it was being used as a corn crib. It was only much later, after the building was long gone, that I learned of the local tradition that it was the Lepley long rifle gunsmithing shop. The building was located out in front of the Lepley stone house. For a 1960's photo showing both the house and the shop, click here.